Lavell Benford II was charged with kidnapping, assault and four other charges after police said he admitted to forcing his way into a woman's car and attacking her while forcing her to drive down Market Street. The victim told police he pointed a gun at her head and told her they were going on a little drive. ST. LOUIS — A woman was pistol-whipped and threatened while behind the wheel in downtown St. Louis Sunday night. Police said she was getting into her car near the Citygarden Sculpture Park early Sunday morning when a man forced his way into her car. Once inside, the victim told police he pointed a gun at her head and told her they were going on a little drive. The victim tried to pull over a few times, but police said he continued to threaten her and force her to keep driving. Police said Benford put his hand on the victim's leg and asked her if she had a boyfriend. When they got to the intersection of Market and 18th Streets, she punched Benford in the face, according to charging documents. He then hit her with the gun multiple times before getting out of the car and running off. He jumped into his own car and drove away. Police said the entire incident was caught on camera, which helped them track Benford down. 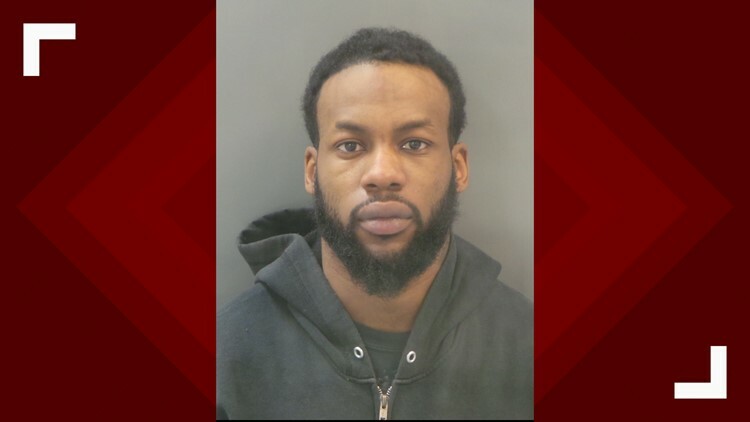 After he was arrested, police said he admitted to forcing the woman to drive at gunpoint, hitting her with a gun and trying to steal her purse. Charging documents said he allowed police to search his home, where officers found the gun used in the incident. Charging documents said it still had blood on it. In all, he was charged with first-degree assault, first-degree kidnapping, attempted robbery and three counts of armed criminal action.